The MasterAir MA621P is built for extreme cooling performance. Based on the legendary Hyper 212 heatsink but with the twin tower design, the heat dissipation power and performance have doubled. With six heatpipes and Continuous Direct Contact Technology 2.0 (CDC 2.0), this is an engineering masterpiece. Two MasterFan MF120R RGB fans make it not only silent and effective in heat transfer, but also a vibrant and exciting option when it comes to CPU air cooler. It is perfect for multi-graphic platforms and overclocking. 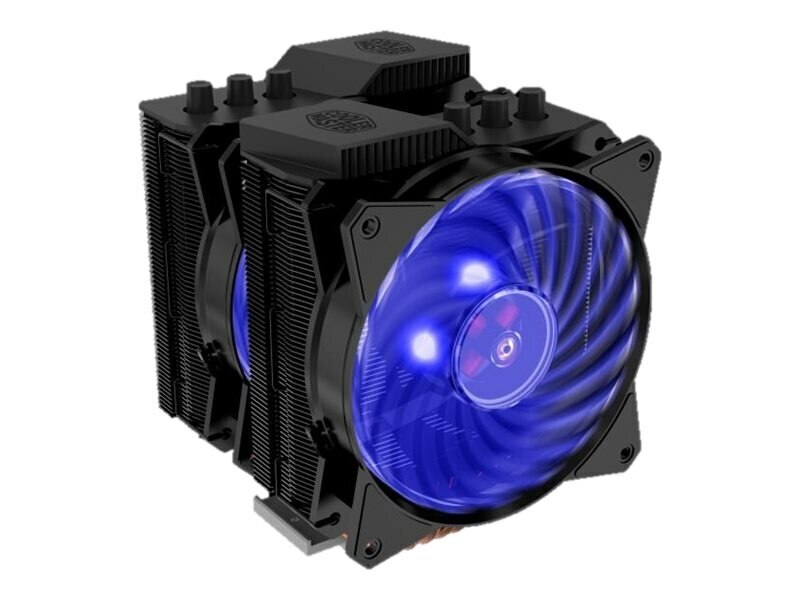 If you are looking for an exceptional air cooler that delivers great performance, silence, and fun RGB lighting, the MasterAir MA621P is definitely for you.